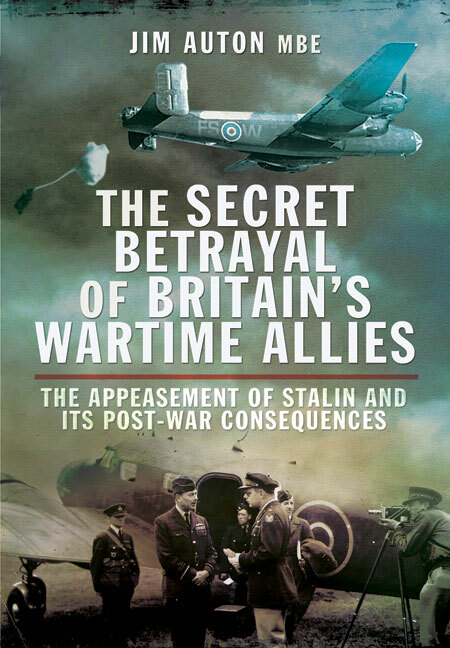 You'll be £8.00 closer to your next £10.00 credit when you purchase The Secret Betrayal of Britain's Wartime Allies. What's this? As a British airman of the Second World War, Jim Auton dropped bombs on enemy targets all over central and eastern Europe. He was also engaged in a number of low flying operations, organised in order to drop containers of explosives and ammunition in an effort to assist groups of partisans in enemy occupied countries. After the war, he was to enter the cut-throat world of international trade, setting up an extensive network of clients in the industrial areas of the western world. It was during this time that an opportunity arose to revisit all those bombing targets and areas where he had supported secret underground resistance forces during the war. Working undercover on the stated objective of investigating potential East/West trading opportunities, he was to discover, to his great dismay, the final fates of the various partisan operations that he had so bravely endeavoured to assist. He was to discover that many of the Poles and Czechoslovaks who had assisted British units during the conflict had either been killed or imprisoned by the Communist authorities. He argues that, once victory over Nazi Germany had been secured, British and allied governments betrayed these resistance workers who had so bravely served the cause and paid such a significant contribution towards the allied war effort. In this, his second work of autobiographical memoir, Auton provides an enthralling first-hand account of intrigue, assassination, espionage and shameful betrayal on both sides of the Iron Curtain. Jim Auton MBE holds the following awards - Presidential Gold Order of Merit (Poland), Presidential Gold Medal for Merit (Czech), Polish Cross of Valour, Czech Military Cross, Warsaw Uprising Cross, Armia Krajowa Cross and four Slovak and Russian medals. He was appointed as British Honorary Pilot of the Czechoslovak Air Force and he holds an Attendance Diploma from the Polish Senior Officers' Flying School at Deblin. After retirement in 1980 he became an authorized researcher in the archives at the Auschwitz death camp. He is the founder of the Air Bridge Memorial adjacent to the Polish war graves at Newark on Trent. wartime comrades. The author is an authorised researcher in the archives of Auschwitz, an aviator, and a former British Honorary Pilot of the Czechoslovak Air Force. A fine, if disturbing book, that deserves the widest readership possible. As seen in the East Lindsey Target.